Chocolate is the woman I was dating prior to getting back together with Yellow Bone. Even though I adored Chocolate (and honestly, I was falling in love with her) I chose to hook back up with Yellow Bone, who in turn told me to cut Chocolate loose completely. Even though it was hard, I did as Yellow Bone requested. I told Chocolate I was back together with Yellow Bone. However, I asked Chocolate to be my friend. Hurt and disappointed, Chocolate told me to kick rocks. Now that things are over with Yellow Bone, my mind has drifted back to Chocolate. In hindsight, I wish I'd never picked Yellow Bone over Chocolate. I would never try to hook back up with Chocolate (unless she makes the first move) but I would like to be friends with her. I thought about calling her a while back, but I couldn't get up the courage to do so. Today, temptation got the better of me. I called Chocolate and to my surprise she seemed happy to hear from me. Chocolate: I thought about calling you after I heard you quit (referring to the job I quit...we worked together). 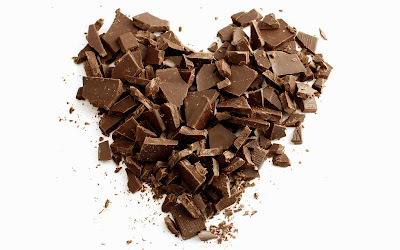 Chocolate: Because I was still hurting. Chocolate: Don't worry about it. I'm over it. I have someone in my life now. Me: (sharp stab of jealousy and disappointment, which I tried to mask) I'm happy for you. We talked for well over an hour before her "friend" beeped her other line and therefore ended our conversation. Needless to say, I'm happy to have Chocolate back in my life.